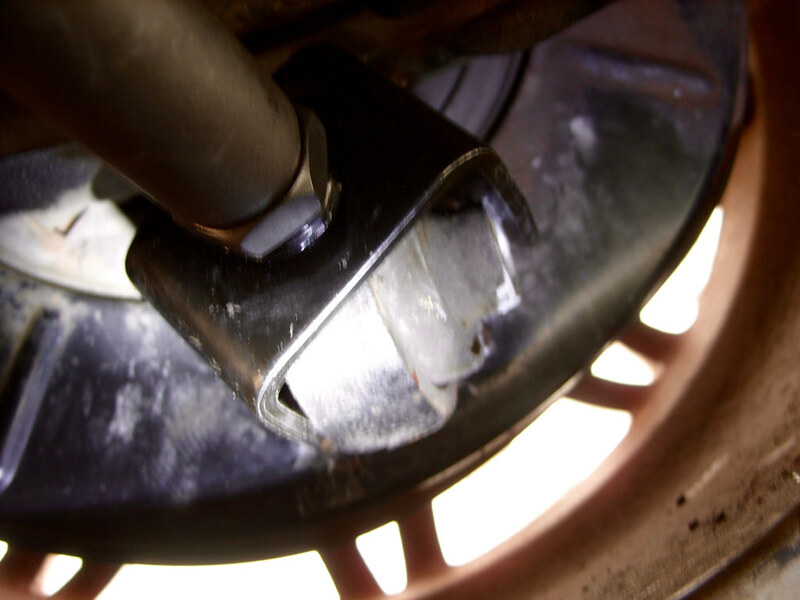 During the install of the adjustable rear lower control arm, I rested it on the back plate to pick up the bolt which quickly flipped and stuck itself...see pics below. So, how would you resolve this situation? One cannot pull out on the rotor anymore...I was thinking to undo the suspension bolt which would lower rotor assembly or placed a long screw driver in the trailing arm and used that as leverage to brace against to pull out the rotor. I learned to have the bolt in hand to place in the bushing...the driver side was a breeze to install after that incident. 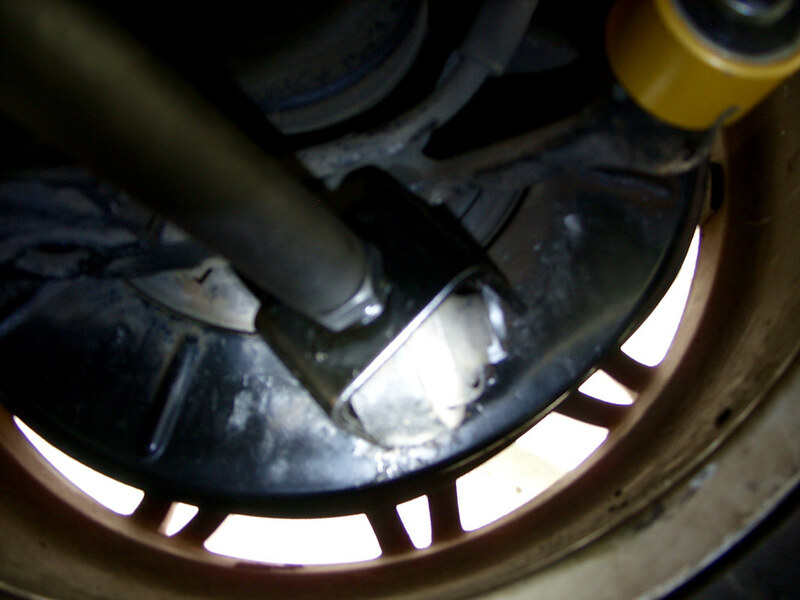 It looks like you're going to need to pull the control arm away from the rotor (like towards the diff). With it rotated like that I wouldn't try prying it off towards the ground as you'll probably ruin the bushing in the process. 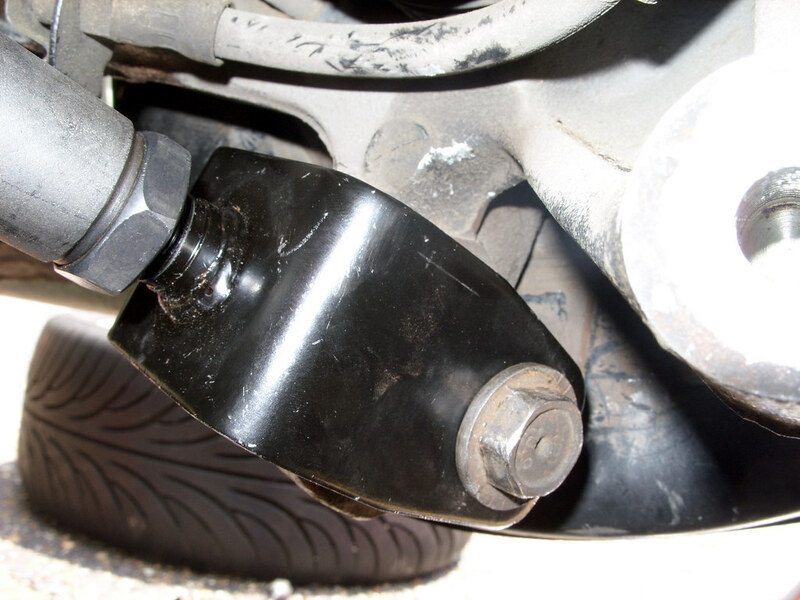 Any reason you can't undo the other end of the control arm? I'd do that, unscrew the control arm, and pull the end off. Remember, the other end is in a pocket! Undoing the shock and let it drop was my first thought...just having difficulty seeing whether that would ease the sideways pressure. Over thinking can lead to non-action...removing the shock did make the task VERY easy...thank you Englishtom! Last edited by NolliM3; Sun, Jun-03-2018 at 03:41:48 AM. All times are GMT. The time now is 04:58:54 PM.